Holly Fretwell is a Research Fellow at the Property Environment Research Center (PERC), the premier think tank for free market environmentalism, based in Bozeman, Montana. 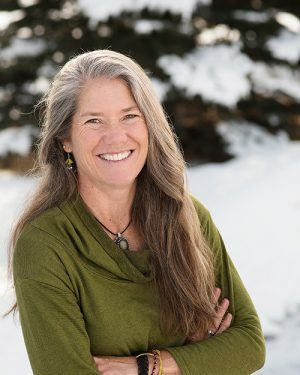 Her research has focused on public lands policy for over two decades and she is the author of Who is Minding the Federal Estate: Political Management of America’s Public Lands. Recently, our Kai Weiss talked with her via Skype on how a market economy is able to protect the environment and what possible problems there are with current state-run models. Kai Weiss: As a start, why would you say is a system of private property rights generally better in protecting the environment than the governmentally regulated approach? Holly Fretwell: When we have private property, we tend to have better incentives to take care of things and be good stewards. This is because we as the individuals who own property are the ones who will benefit from taking good care of it – and if we don’t take good care of our property, then we are the ones who are burdened by lower value to that property. Alternatively, if we are looking at public ownership of something, I’m not the one who receives the full benefit nor do I pay the full cost. If public lands are poorly cared for by the agency or restrict my access I don’t get compensated. In addition, political environmentalism, that is, the government taking care of, managing, or regulating something, tends to lead to conflict when allocating resource use. It is often political influence that determines use, and there is no benefit to each different party to cooperate with the other through negotiation. When we have political environmentalism, we tend to get zero-sum, winner-takes-all type games. When we are looking at free market environmentalism, we are really trying to create innovative solutions that allow for trade and negotiation. These solutions respond to current desires through trade revealing the values of alternative resource uses. Alternatively, regulation is set at some time regarding some certain set of demands and desires that somebody perceived at that point in time. The government often is not really doing a better – or is actually doing a pretty bad job, at protecting the environment. One just needs to look at the Soviet Union to get a good picture. But when it comes to the US, could you explain how government policies, for example when it comes to wildfire, have caused problems? The government policy on wildfire is to fund wildfire suppression, and for that, they give a blank check to our agencies, most notably the Forest Service. These agencies are motivated and have the incentive to fight more wildfire, to put more wildfire out, and they have fewer resources available to actually manage the landscape prior to the fire. Fire is natural in the forest, we need wildfire. However, there are actions we can take in some forest types to reduce the risk of conflagration. Forest restoration can reduce the fuels in those areas to try to reduce the intensity of the fire. This is particularly important if we are looking around homes and watersheds. But again, the way we have our public land agencies set up, they don’t have the money to actually do the management on the ground, but they do have the money to do the suppression. Thus, we see a lot of wildfire suppression, and if we are suppressing those fires, we are allowing more fuels to build up in those areas where suppression was effective. So in the future we are likely to see bigger fires as a result. We can look at different types of regulations, especially on our public lands, that hamper good stewardship, A current PERC initiative, the New vs. the Old West, examines some of these regulations. In the old West, resource use emphasized commodity production. One hundred years ago the demands for resource use were livestock grazing, timber harvest, and minerals extraction. As we have become a wealthier society, we have changed our demands to wanting more amenities, more wildlife, more hiking and biking, more wilderness recreation opportunities, and enhanced protection of biodiversity, Yet, when it comes to many of our regulations, we still have grazing allotments that have to be grazed by law. When that grazing allotment comes up for renewal, I don’t have the right to bid on it to not graze on it and to use it for recreation or for wildlife habitat instead. To change the resource use I have to use the system of political environmentalism to fight the law and the individuals who are grazing on those lands, rather than negotiating with the existing lessee. Imagine if instead I could approach the rancher and say, “Look, I really want this watershed protected right here, because there’s an endangered species, or some critical habitat, or something, let me pay you to not graze here.” Now we have potential for a win-win solution. But our laws are set up so that the lessee has to graze that land, and if they pull those cattle off, the agency has the right to put someone else’s cattle out there. The laws are oftentimes working against good stewardship instead of allowing for real conservation. A big fear for instance if you privatize national parks is that big corporations, such as oil companies, will take over the area and destroy the environment. How would a private property system prevent this from happening? It’s not likely that public lands in the US will be privatized anytime in the near future. It’s just not politically feasible. They do provide great access for those that want to visit. I live in the West, I’m surrounded by public lands and I use them all the time, and I don’t see that privatizing them – or even handing them over to the states, is going to happen any time soon. I think a more feasible solution in today’s world would be to allow for more private-like incentives for our public land managers, for instance allowing more local control or local input. But if we go to the actual question that you asked, then the answer is that privatization allows for those individuals that have higher valued use to bid and trade for that use. I would say that on many acres of our public lands commodity production like oil and gas development, grazing, and timber harvest, are not the highest value use. Many environmental and conservation groups have demonstrated that. We have environmental groups here in the US that have actually tried to bid on grazing allottments. But as previously discussed, laws don’t allow them to win those bids if the intention is to not graze. We’ve had environmental groups bid on oil and gas allotments, they have the money to win the bid, but our laws don’t allow them to leave the commodity in the ground. What this is demonstrating is that we do have groups out there with financial resources to bid on and steward these landscapes for other uses but the laws prevent them from doing so. More secure property rights would allow for trade instead of relying on political battles to determine resource allocation. What you at PERC for example are proposing as well is that people should pay an entry fee to visit national parks – you call it “Pay to Play.” After all, currently, many national parks are free to enter. Is it actually politically feasible to make it clear to the consumer that he or she should pay to visit national parks? About one-quarter of our national park units, 117, and a number of other public land areas actually do charge user fees, but they tend to be a pretty nominal fee. I do think that recreationists should pay their way. When I go recreate on my lands I feel like I really should be paying for my use. 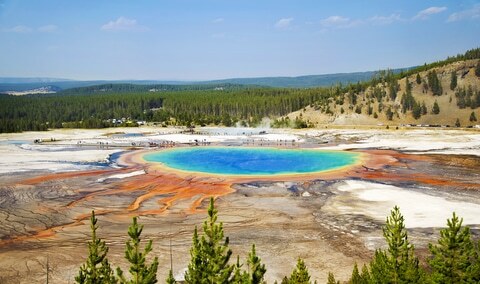 Many national parks have entry points that are pretty well laid out, so charging at those particular areas is relatively simple – transaction costs are low essentially. It’s easy to exclude people from coming in because there are not a lot of different entry points. That is different on other public lands. Nonetheless, they are managed in a way that the bulk of the agency budget is coming from taxpayer dollars. What that means is that my regular use of the public lands is subsidized by all the other taxpaying citizens, many who do not visit public lands. What really bothers me about this is that many of those are low-income individuals who can’t really afford to get to the public lands, yet they help pay my way. And if you look at how people are recreating on our public lands in the West, three to five thousand dollar bicycles are the cheap ones. These are individuals for the most part who have pretty good income or are at least willing to pay a large sum for recreation. Paying a couple of dollars every time we enter the parks, or buying an annual pass, is not going to discourage most of us from using our public lands – and then those monies can be used to enhance public land recreation access. Recreation fees that are used on site bring a much more direct relationship between the user and the provider of the resource. As it is now, agency heads go to Congress seeking money for trails and recreation. But politicians aren’t all that interested in protecting the day-to-day maintenance of things, they tend to be more interested in things that are highly visible to their constituents such as ribbon cuttings for new buildings. Instead of maintenance we get new infrastructure, we get new parks, but agencies can’t manage what they already have. So we tend to be expanding, rather than stewarding. To put a positive note on free market environmentalism, can you give us a sort of prime example of where this property-rights approach has worked out? Actually, there are a lot of examples here in Bozeman. When I first moved to Bozeman 35 years ago, most of the camp grounds were pretty primitive, there were no toilets, or other facilities. There were no fees at the camp grounds, they were on public lands, but nobody took care of them. We would do our best to pick up the garbage that was there and leave the site better than we found it. Congress passed a law in 1996 that gave our public land agencies the ability to charge fees at some recreation sites and retain 80 percent of the revenues for use at that site or in the region. They still have this ability to charge fees on certain types of recreational sites. Those fees stay in that area – that is one of the requirements that is very important. The fees don’t go back to the General Treasury, they go back to the managers to use on the ground for those sites. And now when you are going camping in those areas, you do have to pay a fee – which makes some people mad, but there are now facilities, such as toilets, garbage collection, and fire rings. The cost of each individual using these lands is actually being paid for by those individuals through those user fees. It’s a much better way to protect those landscapes for long-term use, especially as we see increasing population and increasing demands for using those campgrounds and those recreational areas. Since the common perception in today’s world still is that there is an inherent conflict between environmentalism and market economics, what is the most successful way to explain to people that this conflict actually doesn’t really exist? We use the term free market environmentalism and most people in our circle know exactly what that means. But the rest of the world has no idea what you are talking about. Furthermore, many people find the term “market” offensive when used for conservation. They are afraid of privatization. So I think for starters we need to use different language, such as we are looking to solve environmental challanges through entrepreneurial actions. Most people understand what “entrepreneurial” means. They can envision an innovative individual working and trying to add value to something to earn a profit with an understanding that they have to benefit others to make that profit. So I think the word “entrepreneur” is a much better word for us to use to help people think about how we can be creative in our conservation by allowing for private individuals to take care of the land. Language matters. It is also important to find common ground. Holly Fretwell is the Director of Outreach and a Research Fellow at the Property and Environment Research Center (PERC).